In 2007 I made trip to Sichuan and during the 10 days journey we always ate local food in small eateries, street stalls or cooked by our driver during our trekking around Mount Gongga. That was when I became an enthusiast of Sichuan food and it’s Feng Wei Ju at StarWorld Hotel that keeps taking me back to that unforgettable trip. The Sichuan Province is often attributed to spicy food. 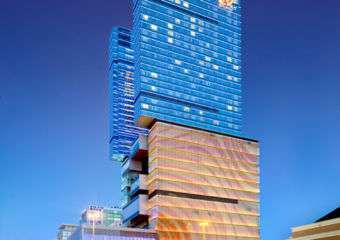 Coincidentally, Macau is historically connected to the region, as it was the Portuguese via Macau in the 16th century that brought to Sichuan some of the quintessential spices of their cuisine. History reveals that locals then started using a wider range of spices in their cooking to help with the humid and harsh weather of the region. 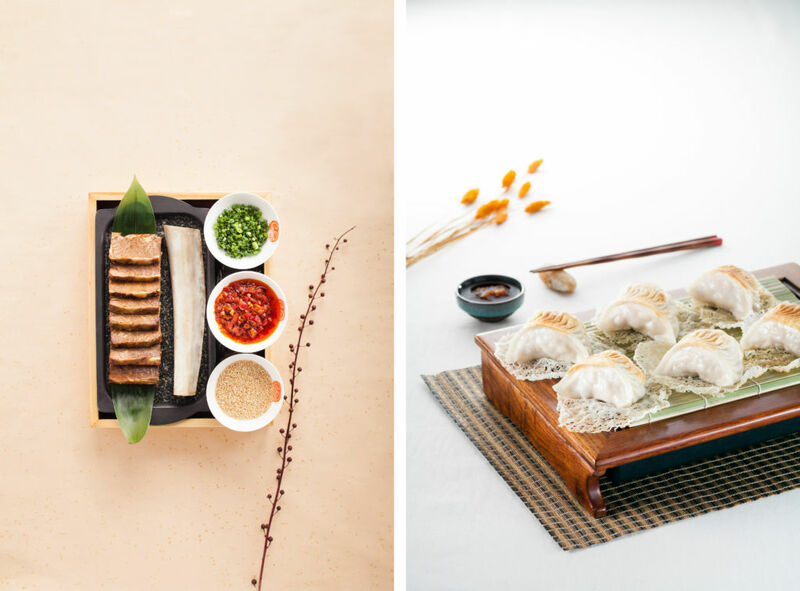 So, when Macau Lifestyle invited me to write about Feng Wei Ju I jumped at the opportunity, so that I could share some of the incredible dining experiences I’ve had there – and there were many! In fact, Feng Wei Ju was already one of my favorite restaurants in Macau, even before the Michelin guide deservedly bestowed it two stars, for two years in a row now. In terms of quality and price, I challenge anyone to find a better two-star Michelin restaurant, anywhere in the world – and I’ve eaten in many. Located on the 5th floor of the StarWorld Hotel, Feng Wei Ju restaurant has a stylish yet cozy interior design. Decked with copper sheets hanged from the ceiling dividing the black marble tables, massive gold pebble pillars and dark red leather chairs, it’s an impressive setting to begin with. It features an open kitchen where you can see the chefs in action and beautiful stone bar at the entrance, so that you can have a quick bite or try one of the many Chinese teas or liquors available while waiting for your table. There are also two elegant private rooms, which seat a maximum of 27 people for private occasions. The meal started with Black Fungus and Cucumbers in Black Vinegar, which is the perfect appetizer in its simplicity. Made of fresh and crunchy cucumber, it complements the light chilly spice and seemingly prepares your palate for what’s to come. The Shredded Chicken with Spicy Sesame Sauce soon followed. The incredibly tasty dish had the most tender chicken I have ever tasted. According to Chef Chan Chek Keong, the secret is to use the “best free-range chicken, clean it, then make soup with ginger and after the soup boiled, let the cleaned chicken in and poach it for 10 minutes under 100 above degrees, then stall and soak for 15 minutes to keep the tenderness of the chicken”. The shredded cucumber gives it a cool and crisp taste that slightly and perfectly cuts the spiciness of the traditional Sichuan sesame sauce. Speaking of spiciness, the next dish is perhaps my favorite in all Chinese cuisine: Boiled Mandarin Fish Fillet in Chili Oil (featured image on top). It looks so hot that you will be almost afraid to take the first bite. There is a common myth about spicy food that’s often misconstrued. Some people say they don’t like it because at some point you stop tasting the food and only feel the burning sensation, thus ruining the experience. I believe that this only happens with poorly cooked spicy food. If the spices are used in the right mixture and proportion, your gustatory perception remains vividly aware of all the tastes and flavors of the different ingredients. This is precisely what happens with the Boiled Mandarin Fish Fillet. 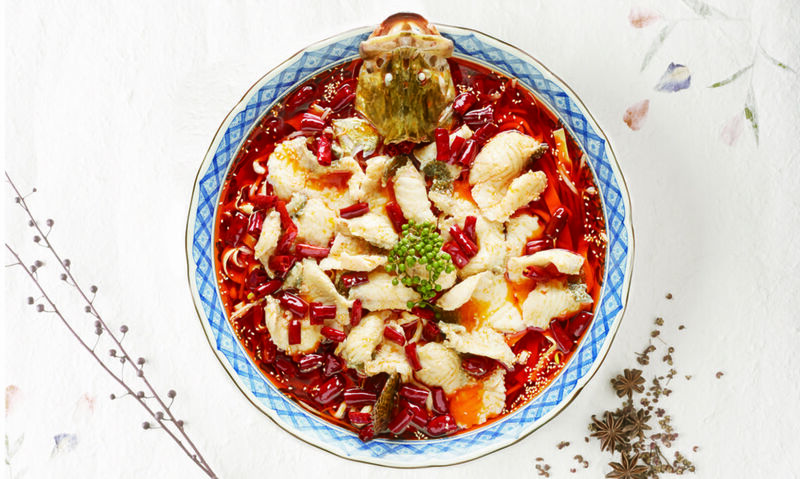 The whole fish is presented with its unboned white chunks floating in a sea of dried chilies, red and fresh green peppercorns (all coming from Sichuan), enoki mushrooms, boiled greens, bean sprouts and homemade noodles, in a beautiful palette of colors. It’s incredible how you distinctively feel the tastes of all the ingredients, including the unique tingle feeling of the Sichuan peppercorns. 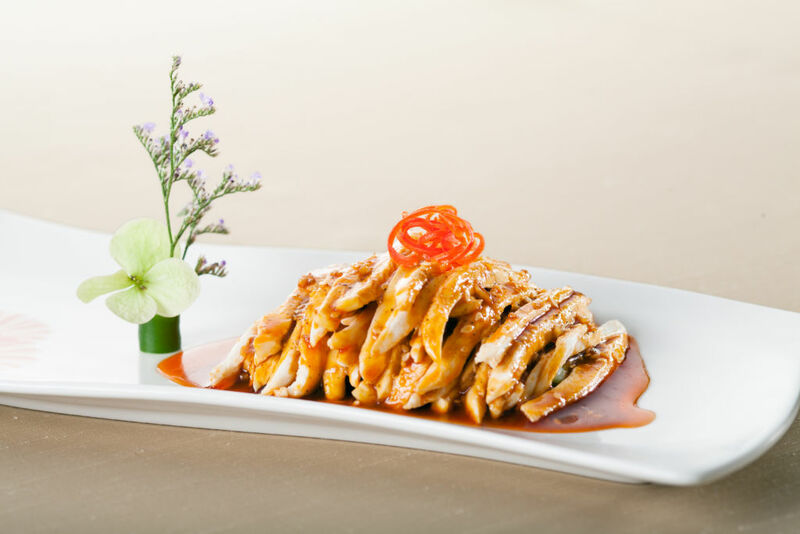 Your taste buds will feel like they’re in the middle of a Chinese Opera! There hasn’t been anyone I took to Feng Wei Ju that hasn’t loved this dish. Fresh from the fierce and flavorsome taste, we welcomed the next two dishes. The Beef Loin with Lotus Paste was slow cooked to precision and perfection so much that when I tried to eat it, it crumbled in the chopstick. Its fattiness and beefy flavor was a good interruption to the spices of the previous dishes. The “Old Beijing” Pan-fried Pork Dumplings were accurately toasted on the outside and moist on the inside, with shallot and garlic, excellently cooked. It’s remarkable how a Sichuan and Hunan cuisine focused restaurant can also deliver some of the best dumplings and noodles in town. Basically, there’s food for all tastes in Feng Wei Ju and everything is flawless. To cap off the meal, we had the Fried Banana and Sweet Potato Fritters with Pulled Sugar, which clearly contradict those who say there aren’t sweet and tasty desserts in the Chinese cuisine. The name says it all and it’s as delicious as it sounds. For drinks and beverages, you can find a great selection of teas and a surprisingly long and high-quality wine list, quite exceptional for a Chinese restaurant in Macau. In conclusion, Feng Wei Ju is a precious pearl of Chinese cuisine in the region and a personal favorite for years. The food is outstanding and varied, the service is impeccable and the restaurant is stunningly decorated. 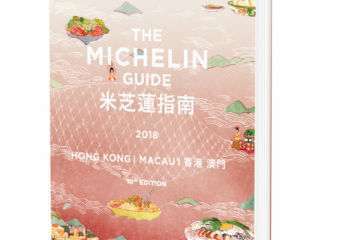 The Michelin guide agrees, and to Chef Chan Chek Keong “it means that the customers acknowledge our restaurant and also honors the efforts made by the chefs. It enhances the motivation and confidence of our team”.